5 Sunken boat not on map! Sorry, the Google Maps API is not compatible with this browser! Sunken boat not on map! There is a sunken boat a little north west of the neglected shipwreck near khartog point, that is not on the map. It is completely submerged under water and only has a few barrels floating beneath it. The barrels only contain clothes and food. I kinda am confused about the random island in the top left corner of the morrowind map. If anyone has any updates on it or if it was put there for no reason, someone please tell me. Icon is in the path SW of the shrine, not in the middle of the circle of rocks where the shrine actually is. I came here looking for this very comment. 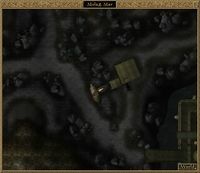 The in-game map indicates that it should be Silt Strider, Molag Mar. This page was last modified on 20 January 2019, at 12:14.